I had hoped to get out one more time before the end of the new year, but alas it did not happen. When the holidays roll around my schedule fills up pretty quick. Budgeting time is the everlasting challenge. It's an age-old battle between what is good, better, and best. that something is good. Other choices are better, and still others are best. That is sage advice with the beginning of this new year and solidifying our new resolutions. As I look back at the fishing, family time, work, school, and church activities I recognize multiple areas I need to improve in. Despite the improvements I need to make, 2013 was a good year, a growing year. I started working a second job at the EIRMC's Behavioral Health Center as a psychiatric technician, Bita doubled the number of her piano studio's students, William started school, Isaac started gymnastics, Elijah turned into an imp, we finally submitted applications for physician assistant schools (still waiting on the responses), I got shingles with some other wonky ailments that we are still trying to diagnose, the Lord taught me some lessons the hard way, and... the fishing was great! I enjoyed reading back through the posts from this year. Here is a catalog of the posts from the main adventures with pictures of some of the more memorable catches. 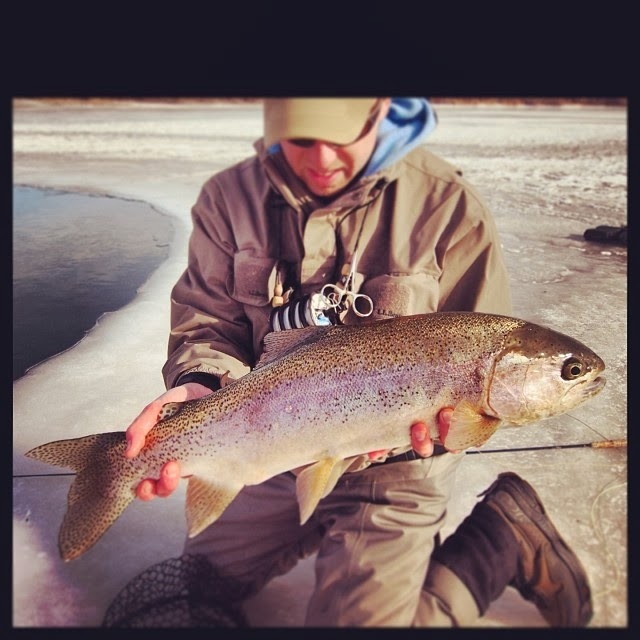 The new year usually starts on the ice, and this past year wasn't any different, though there was plenty of fly fishing intermingled. 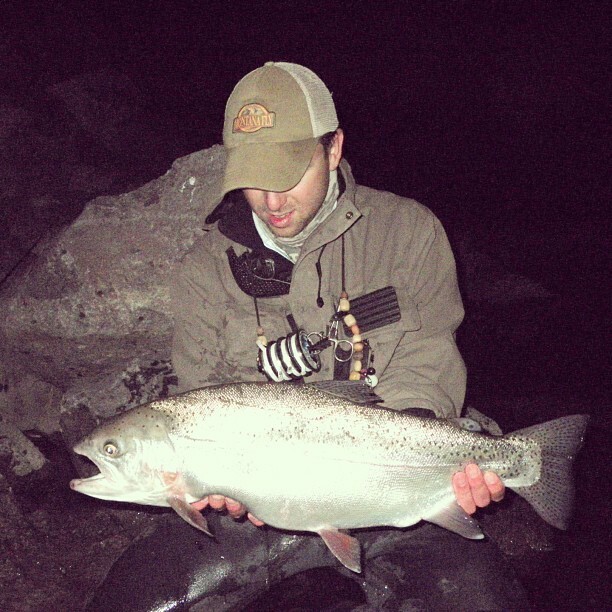 One pleasant surprise from the beginning of the year was how productive night fishing can be in the winter, if you find the right water. 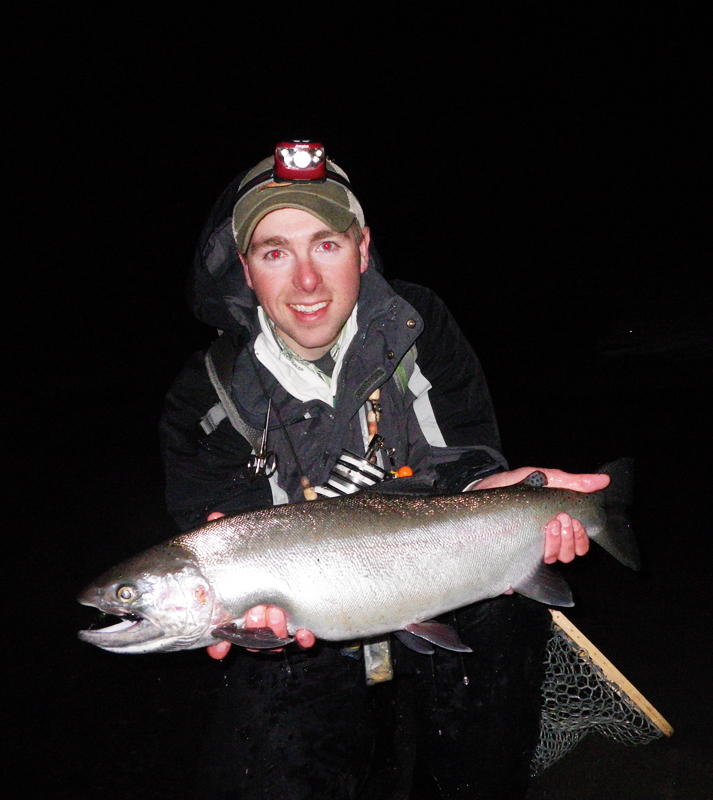 The winter night fishing continued to be good. One of the best overall trips in recent memory happened this year on my birthday. It was filled with gorgeous, hard-fighting fish. 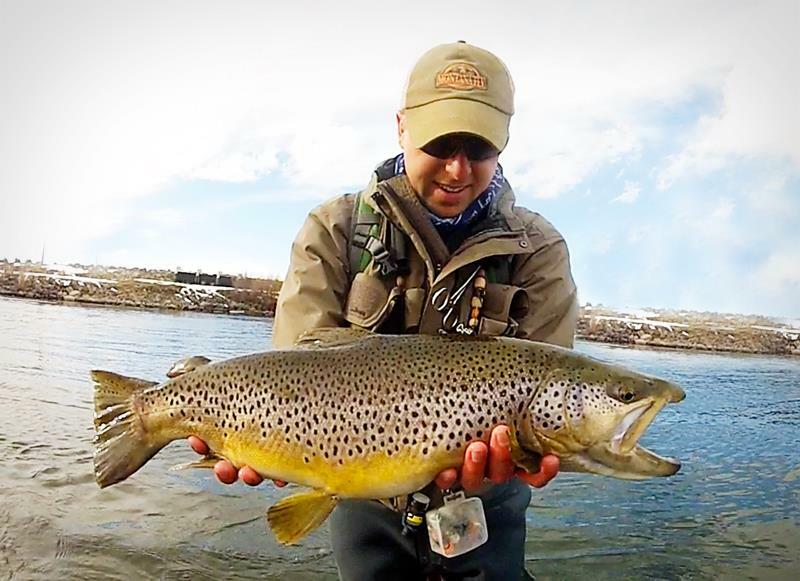 Winter fly fishing on the Henry's Fork can be phenomenal. It produced magnificently during the winter months. Carping really starts to kick in during March. 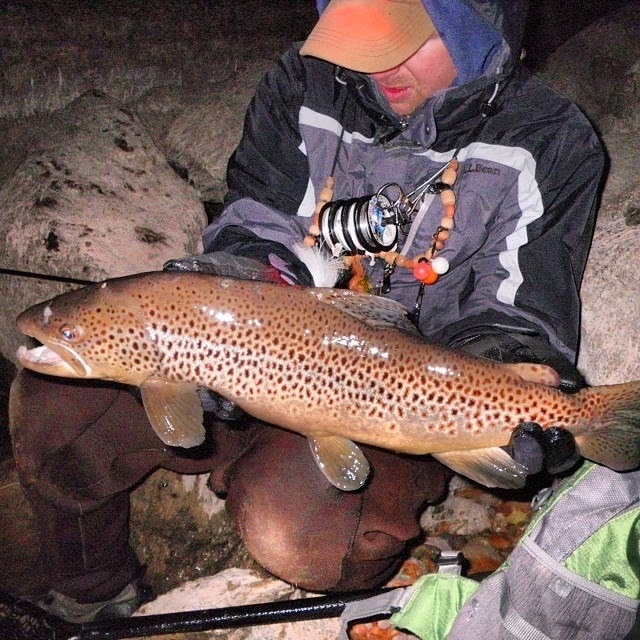 The trout fishing is phenomenal, and night fishing remains great. 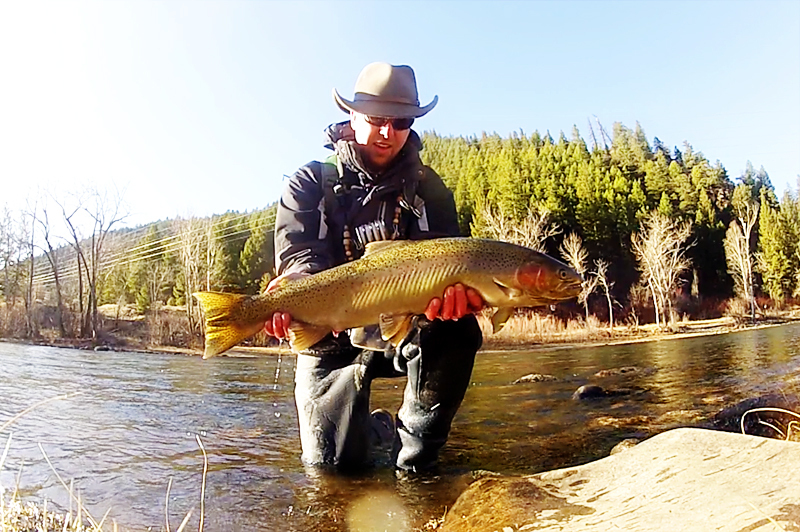 The pre-runoff river fishing was fantastic on both the North and South Fork of the Snake. 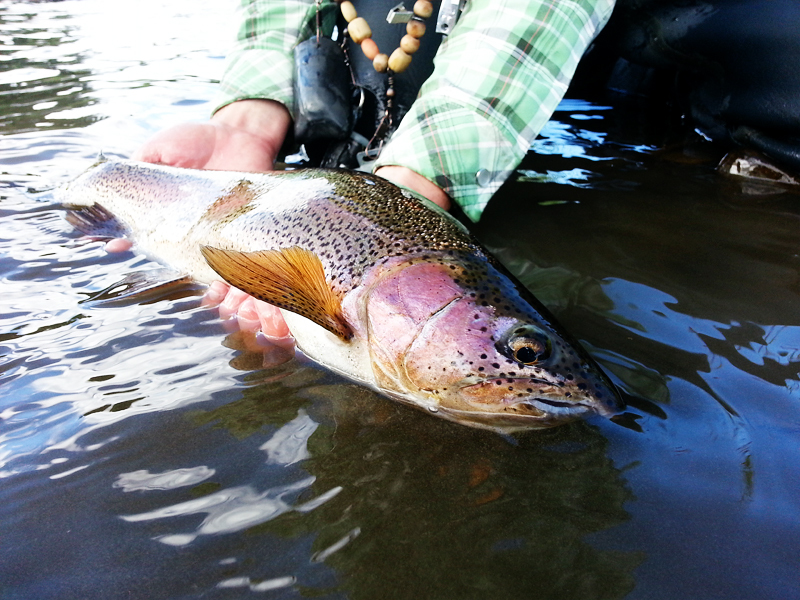 Some of the greatest streamer fishing happens this time of year with all the new fry out and about. Spring steelheading is going on and as the fish move into skinnier water they can be more accessible with a one-handed fly rod. I like to make a few-day trip in the early spring, but circumstances dictated a later spring trip. 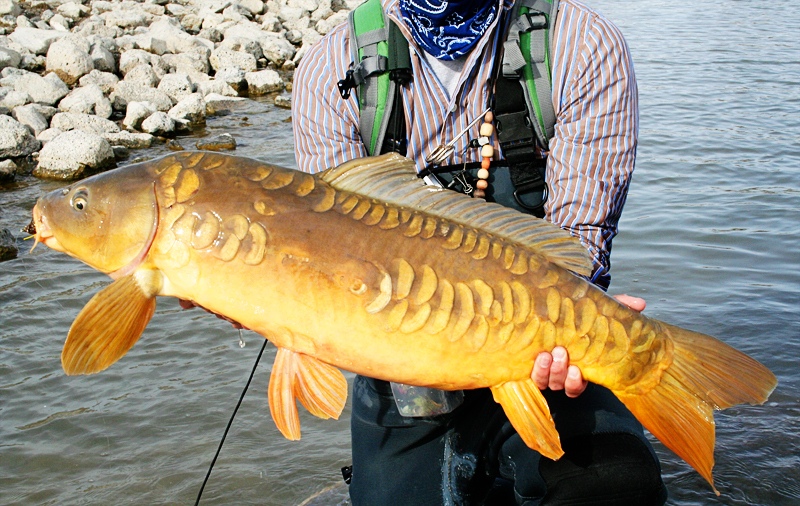 The Carp Classic is held every May, despite the (most times) temperamental/poor weather. 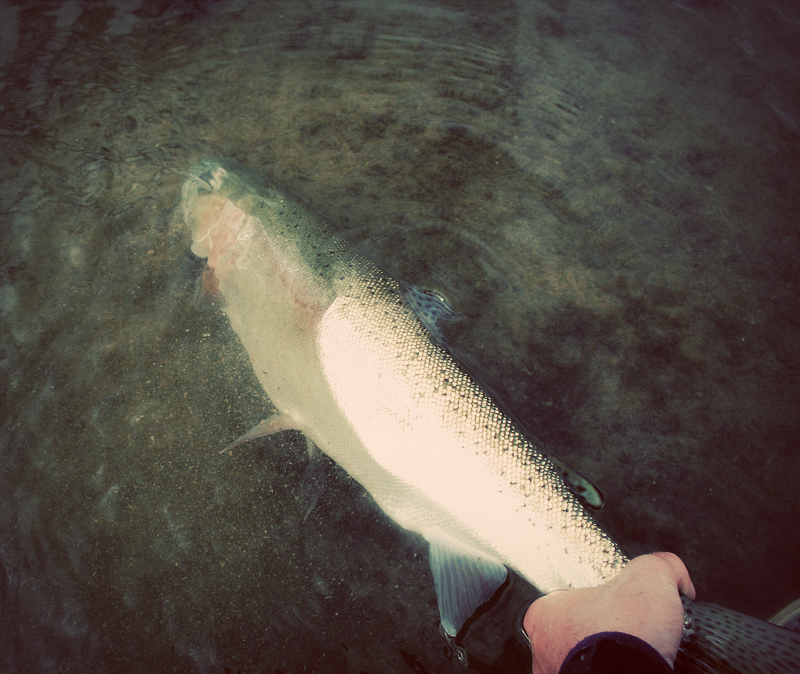 This year was no different, but one good fish was still eeked out. 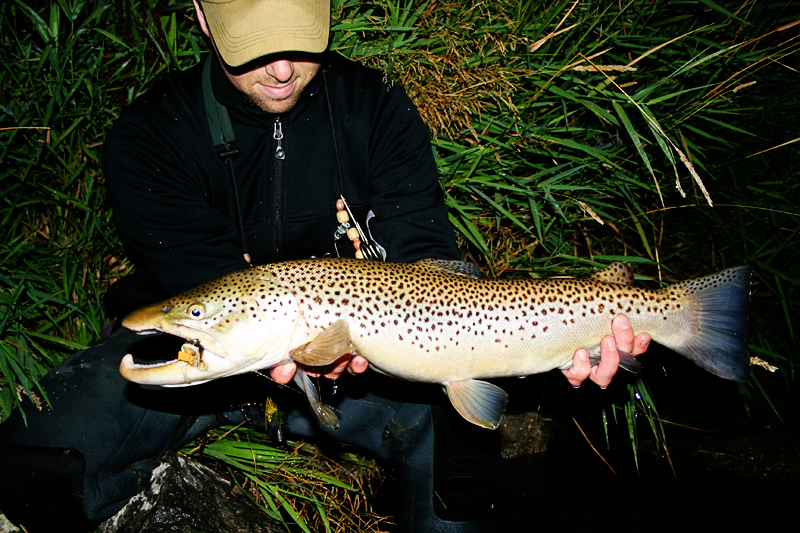 The carping was immediately followed by some excellent night fishing for trout. The summer months get crazy with family activities and classes are in full swing. This year was the busiest summer I can recall ever having. 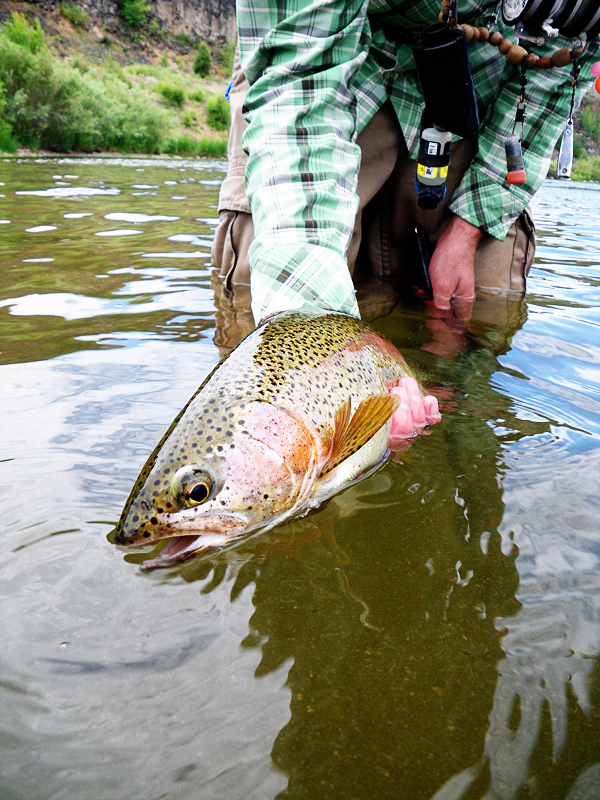 There wasn't much time to get out on the water in June, but some trips were managed. I love exploring new water, though it is sometimes hard to break away from the trusty honey-holes. I have some excellent friends who make great co-conspirators with the exploratory expeditions. We discovered some new waters on one of our favorite rivers. This was one trip I really looked forward to. 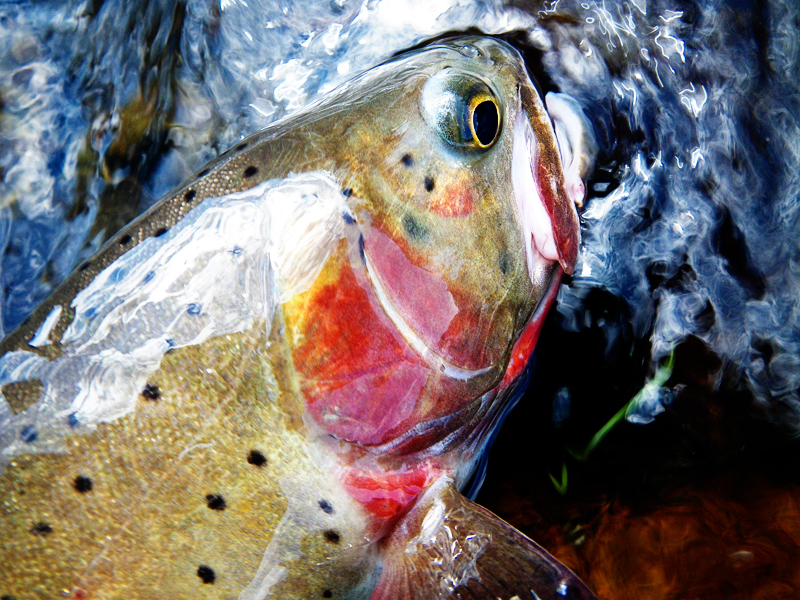 Some of the best dry fly fishing I have ever seen, with big foam dries and extremely aggressive fish. 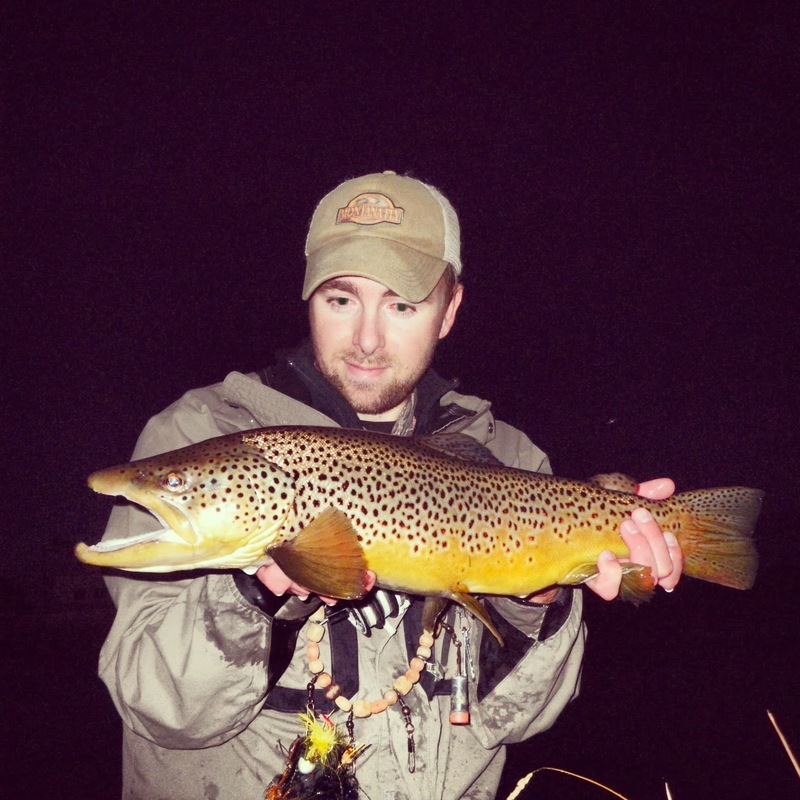 The Yellowstone River is one of the true gems of our Western fisheries. Most of August and the beginning of September was spent recovering from the shingles, blah. After I got my head on straight again and thanked the Lord for my blessings, life resumed. Mousing was a new frontier, but one where we boldly went and IT RULED. Fall was another busy time with school and other obligations. I managed to sneak out a little here and there for some river therapy. Change is life, and we can choose to be happy despite the trying times. People say to roll with the punches and I guess that turn of phrase works, but I'd much rather roll like a river. 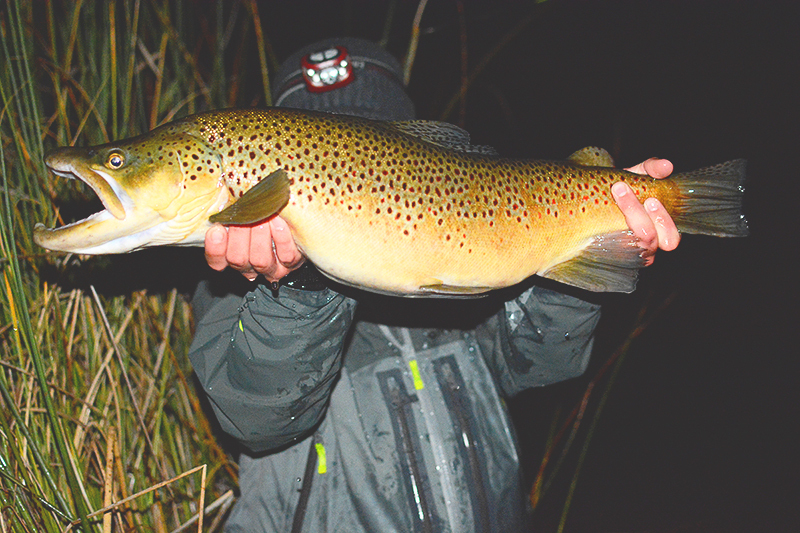 This month was filled with sporadic trips, lunch break fishing, and night escapades on new water. It produced some excellent fish and was so much fun I didn't want this part of the season to pass. 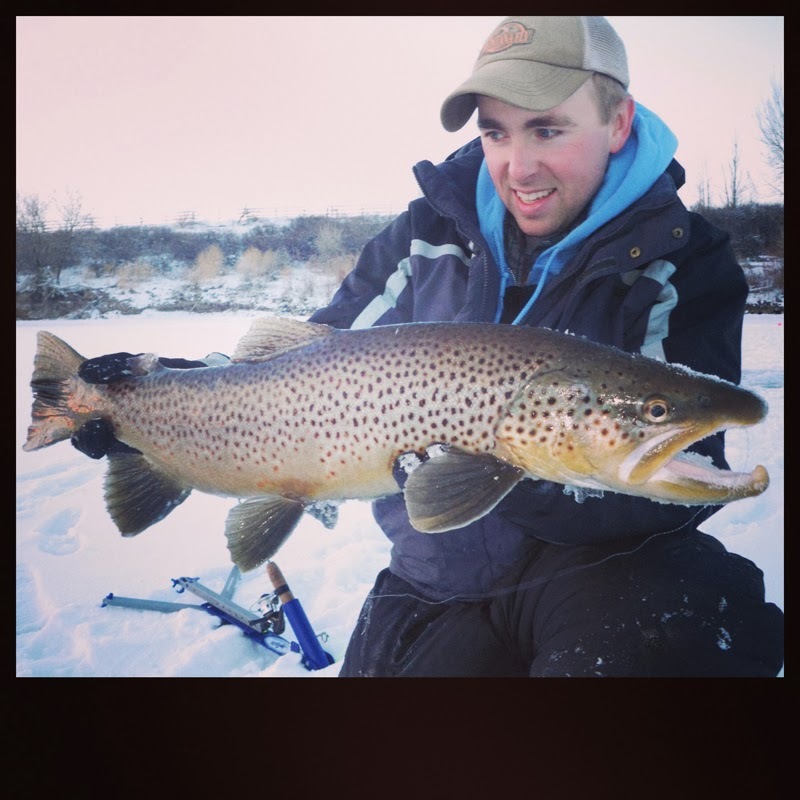 Ice fishing began once the cold weather settled in and made itself at home. There was some fly fishing as well. All produced fantastic fish. All in all it was a swell piscatorial year that went swimmingly. I hadn't set any fishing goals except to enjoy my time on the water. I rarely measure or weigh the fish I catch, I just love fishing. New fish were caught, new flies created, my kids caught fish, new friends were made, old friendships strengthened, inside jokes developed, many pictures were taken, and I look forward to doing it all over again in the coming year. As far as New Years resolutions go concerning fishing, I plan on doing more mousing, exploring more water, taking more pictures, getting some kid-waders for my son William (and taking him out more), starting Isaac fly fishing when he turns 5, and being on time for fishing appointments (Shane and Brent know what I mean). It's good to be fishing. It's better to be fishing when it isn't taking away from something more important. It's best to be fishing with people that matter to you. 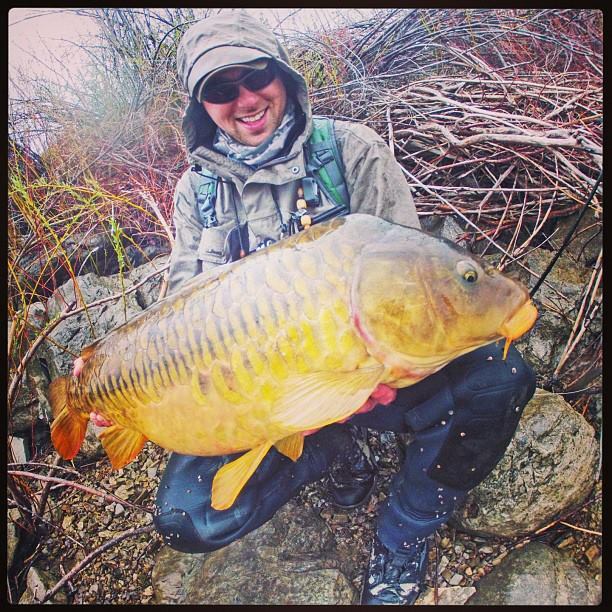 In the end it's not the size or weight of a fish that matters, it's the people you get to share the catching with. What good is landing a trophy fish if you have no one to celebrate it with you? That's not to say that fishing alone is not enjoyable or recommended, sometimes solitude is wholesome. In the end though, the relationships and shared memories are what last and can be enjoyed beyond our brief moments on the water. Plus, selfies are a pain in the rear. Happy New Year to everyone! I hope it brings you much happiness and good times. Glad you stopped by. Well said! Good luck with your boy at 5. Two of mine were accomplished, for their age, by 8, but a grandson that age has trouble. Love the pictures, you do well at so many things. Thanks Gregg! My 6yo is doing well with it, but he has a lot of interest in it. The next one isn't into it as much. He definitely doesn't like being cold. He does like catching fish though, so he still enjoys the warm weather trips.